you need to manage your workforce's absences. 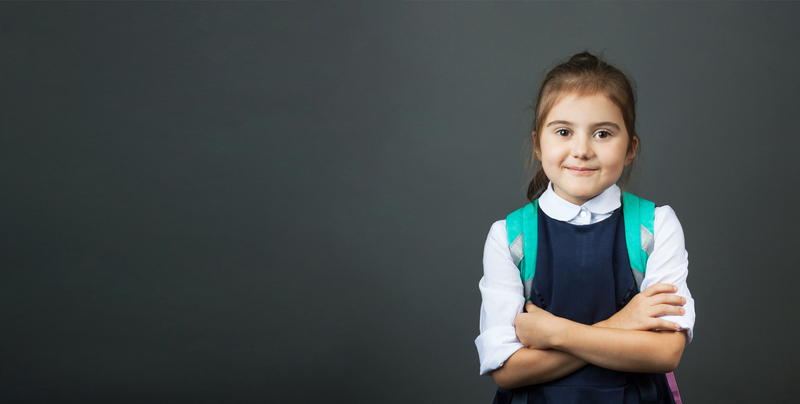 With over ten years experience in staff absence insurance, we cover schools against teacher absences throughout the UK. Regrettably absences are inevitable and can be financially costly, disruptive and time-consuming to deal with. To help schools negotiate some of these challenges, we have developed a suite of services designed to mitigate the financial risk, minimise disruption and reduce staff absences. We believe in more than just education based staff absence insurance, we offer a complete staff absence management package. Whether you require maternity paid as a daily benefit or access to a dedicated occupational health and wellbeing service, our market leading insurance offers features and options that aren’t available from any other provider. Moreover, we are the only staff absence insurance company to offer policies from an ‘AA-’ rated insurer*, offering unrivalled levels of financial stability and trustworthiness. We are the only staff absence insurance company to offer policies from 'AA-' rated insurers. We work closely with leading law specialists Browne Jacobson, who offer a professional HR service designed specifically for schools and academies. We work with specialist educational wellbeing providers to offer to our schools and academies the very best occupational health support available. We believe in open and transparent policy terms, always working with schools to identify the most suitable cover and best value options. As specialists in the education sector, we know that every school is different. Therefore, our policies can be tailored to suit the individual budget, size and requirements of your school. We know that no education provider has unlimited funding, so financial planning for this area of expenditure is essential. We offer honest, dependable and financially stable insurance that really makes a difference to our customers. Our friendly and knowledgeable team are on hand to support you throughout the duration of your cover. Our experts include a dedicated schools team, client managers, an onsite claims handling team and technical support consultants, all here to ensure that you have access to the support and advice you need, when you need it. New for 2019, our schools will be assigned a dedicated Claims Support Assistant who will liaise directly with GPs to retrieve any Doctor’s Reports (Section C forms) we need to process your claims. We have also increased the time limits schools have to provide us with any additional supporting documentation, from 20 working days to 45 calendar days. This provides our schools with more freedom when making a claim. All our policies are underwritten by reputable and financially secure insurers, who have credit ratings of ‘AA-’ by the rating agency Standard and Poor’s. This makes our insurance one of the most financially secure in the market. No other provider can offer you the same level of financial security. We offer the widest choice of cover for staff absences available. We now offer cover for pre-planned surgical procedures, private medical treatment and the option for schools to choose a multi-year policy. We also offer cover for pre-existing conditions, stress cover, three maternity cover options and cover for on-going maternities. No other provider can offer you such choice. Taking out a policy with Absence Protection entitles all your insured members of staff to health and wellbeing support from APL Health. APL Health provide tailored healthcare solutions using a mixture of face-to-face, personal healthcare and digital wellbeing solutions. Together, these create a best-in class service, ensuring fast, proactive support with effective results. Your insured members of staff will be able to access a whole host of APL Health’s services via their new virtual health and wellbeing clinic, Smart Clinic. The Smart Clinic is a phone and web app service that emulates everything you would expect from a physical clinic, but from the comfort of your own home, office or anywhere with internet access. Lump sum – You can choose ay lump sum maternity benefit up to £10,000, the highest available in the market. Non-return dependent – This maternity option is not dependent on the absentee returning to work and is paid as a lump sum up to £10,000. Daily benefit – We are also the only provider to offer maternity paid as a Daily Benefit of your choice. What’s more, we now provide cover for unknown pregnancies conceived up to 30 calendar days prior your school’s policy start date. Whether your insured members of staff spend their spare time performing DIY, riding horses or playing contact sports, accidents outside of work are one of the most common causes of staff absence within schools. Injuries caused by accidents often require a long period of absence to allow the affected member of staff time to recover and return to good health. New for 2019, we offer schools the option to add extended accident cover to their policy. This option extends standard accident cover to injuries suffered out of work, and provides protection against a whole range of personal accident/injury causes. 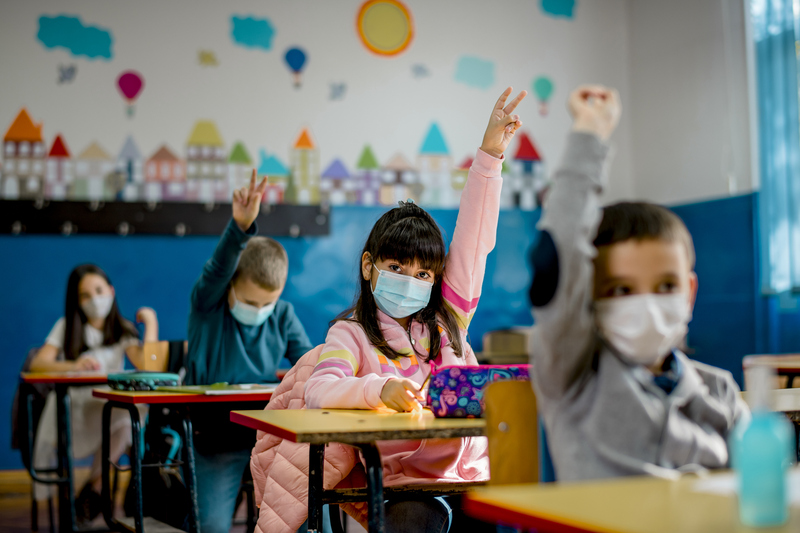 A common cause of absence within schools is as a result of members of staff undergoing pre- planned surgical procedures such as a hysterectomy, gallbladder removal or knee operation. We offer the option to cover such absences, with claims paid at the chosen daily benefit for any full working days of absence. We also offer the option to add pre-existing conditions cover, which means you can still claim when a member of staff is absent if a pre-existing condition reoccurs throughout the duration of your cover. If your staff member requires an operation, we will consider providing private medical treatment for them, at our expense. This is designed to aid, support and improve the absentee’s recovery and facilitate a faster return to work. This is included in all our policies as standard. We offer a choice of policy types to suit the individual budget, size and requirements of your school. We also offer the option to take out a multi-year policy. To provide ease and continuity, choose to cover your school for either 24 or 36 months. Most other staff absence insurers will use external loss adjusters who work on behalf of the insurance company. This means a slower claim settlement time and it is unlikely you will be kept informed throughout the process. It also means your sensitive information is being passed onto a third party. We don’t have any of these issues as all of our claims are handled by our in house claims team. 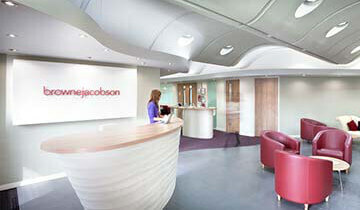 Subsequently we have an average claims handling time of five working days. All schools who take out a policy with us have access to our SSL encrypted client area, allowing them to manage their policies, update their staff lists and make claims online. All schools should carefully consider the financial benefits of staff absence insurance when planning their budgets. This will enable you to accurately predict your finances without fear of unexpected absence related costs. For more information please check out our staff absence insurance page. Are you registered under the Data Protection Act 1998? Yes. Client confidentiality is extremely important to us and we are fully registered under the Data Protection Act. All sensitive claims information is only ever held in the United Kingdom by us and will only ever be used for the purposes of the claim or policy. We do not use external loss adjusters. What Daily Benefit is payable? You can choose any Daily Benefit up to £300. Your chosen Daily Benefit is paid regardless of whether you choose to use a supply teacher or "self-cover". What choice of Waiting Days do you offer? You can choose any number of Waiting Days including first day cover (zero Waiting Days) up to 30 days (six weeks, or half a term). Some schools like the security of fewer Waiting Days whilst others are more concerned about long-term absences. We will always be happy to provide multiple quotes to show the costs and savings of different Waiting Days. Does the policy cover part-time staff? Yes. Part-time staff are included and the benefit payable is proportionate to the hours worked. How do we calculate our FTE? Individuals working hours per week divided by the total full time hours per week. We would recommend using our helpful FTE calculator to check the figures. 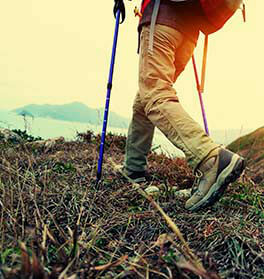 Do you offer occupational health and wellbeing support as standard? We have engaged specialist educational wellbeing providers APL Health to offer our schools the very best occupational health support available. APL Health provide tailored healthcare solutions using a mixture of face-to-face, personal healthcare and digital wellbeing solutions. Together, these create a best-in-class service, ensuring fast, proactive support with effective results. 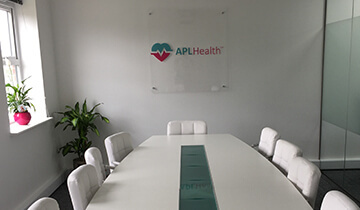 APL Health services are included at no extra cost to our clients and include a range of services designed to prevent and manage staff absences. For more information, please see the benefits of APL Health page here. Do you cover on-going maternities? Yes, we can include cover for maternities that have already been conceived, and for staff that are already absent on maternity leave. Simply tell us when they are returning and how much you would like to receive and we can add them to your quote. We can offer you up to £10,000 for each of your maternity claims, it’s completely up to you. Does the policy cover absences due to pregnancy? Yes. Cover is included for pregnancy related absence for the first 28 weeks of the pregnancy. Beyond this, your staff member would usually be expected to take their leave early. Continuous or annual policy, what is the difference? Our quotes show a range of cover levels. Should you so wish, our Policy may be offered as an annually renewable policy. The difference is that continuous policies provide better value in second and subsequent years of cover. Claims continue to be paid over renewal and you are less likely to have claims declined due to pre-existing medical conditions and on-going medical treatment. We include these options to provide greater transparency for schools comparing quotes. Make sure that you know which type of policy you have been quoted for when you compare prices, as annually renewable policies have significantly lower premiums but provide a lower level of cover. Is evidence of supply required? No. Importantly, and unlike some other policies, we do not require any evidence of supply and schools are free to "self-cover". 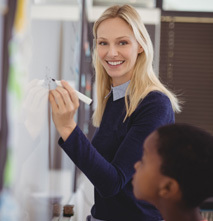 Our policy pays your school when the teachers take qualifying absence. Your cover arrangements are your business – meaning that should you manage the absence without resorting to agency cover, we still pay the claim. Do you have any exclusions for on-going medical treatment? Yes, most policies have exclusions for courses of medical treatment that begin before the policy starts. If an absence is caused by a condition with which your staff member has been suffering and receiving treatment before your policy began, it is likely to be excluded. The advantage of a continuous (rather than annually renewable) policy is that in your second and subsequent years, absences that might otherwise be excluded under this clause would be covered. Is sensitive claims data kept secure? Yes. Unlike many other providers we have invested heavily in ensuring your data is secure, as a result our client portal has an SSL encryption certificate giving you peace of mind. What is the credit rating of your insurer? Are you registered with the Financial Conduct Authority? Yes. 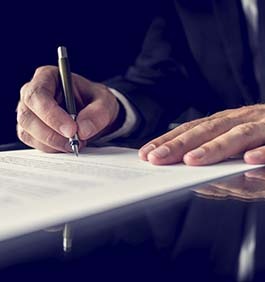 Absence Protection is a trading style of Absence Protection Limited and we are authorised and regulated by the Financial Conduct Authority ("FCA"). You can check this on the FCA Register by visiting the FCA website at www.fca.org.uk/register. Waiting Days are similar to an excess on a motor policy, and are sometimes known as excess days. It is the number of days someone is absent before a claim will become payable. As with a normal excess the higher the Waiting Days, the lower the premium. Can I get cover for non-teaching staff? Yes. You can include your non-teaching staff such as administrative staff, support staff and caretakers. You can select a different Daily Benefit from that of your teaching staff, because our policy allows you to list your staff in four different categories and vary the Daily Benefits and Waiting Days for each one. All these things help to make sure your policy is the best possible value for your school. You can use the website link or if you would prefer, speak to one of our knowledgeable schools team by calling 0800 862 0077. Do you provide cover for pre-existing conditions? Yes we certainly can cover for pre-existing conditions, just let us know that this is something you would like to be covered for when we are creating your quote. At APL, we consider a pre-existing condition an absence whereby a member of staff has suffered from the same problem, resulting in more than five days absence, in the 12 months prior to the start of your policy. We don’t include absences such colds and flu as everyone can suffer from these now and again. What choices do you offer for Maternity Benefit? Maternity cover paid as a daily benefit - this unique option is not available anywhere else in the market. The benefit is paid monthly at 50% of the chosen daily benefit, from the beginning of maternity leave after the waiting day period. 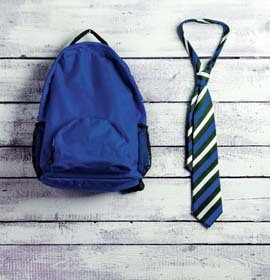 This cover is not dependant on the return to work of your employee, which reduces risk and cash flow problems for your school. Maternity cover paid regardless of the absentee returning to work- this maternity benefit option ensures that if your insured member of staff chooses not to return to work following their maternity absence, your school will still be eligible to claim. This alleviates the financial risk posed by an absentee not returning to work. Maternity cover paid as a lump sum - this is the standard maternity benefit option offered by most insurers. However, unlike other providers we do not fix the sum for you; Absence Protection allows you to choose any sum up to £10,000 per full-time teacher. The sum is paid when your employee returns to work after her maternity leave. 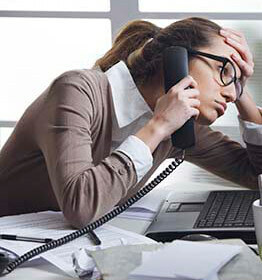 Does your policy include cover for stress related absences? 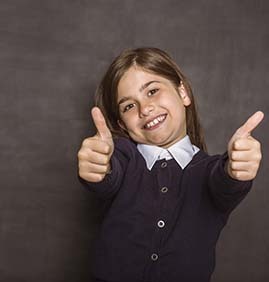 Yes, cover for stress related absences can be added to your Policy as an additional benefit. A school can opt for either zero day stress cover, 30 day stress cover or the full 190 day stress cover. Will you continue to pay for long-term absences? Yes. The policy covers long absences, but after 100 working days the Daily Benefit payable reduces by 50% (as your member of staff would be receiving half-pay by this stage of an extended absence). Do you have any chronic illness exclusions? No. Unlike many other providers we do not exclude chronic conditions and do not impose extra conditions on certain illnesses such as gynaecological complaints, back pain or asthma. Do you have an in-house Claims Department, or do you use external loss adjusters to settle claims? We have our own claims department. Unlike many other providers we do not use outside loss adjusters to settle your claims and all your confidential information remains with us at all times. 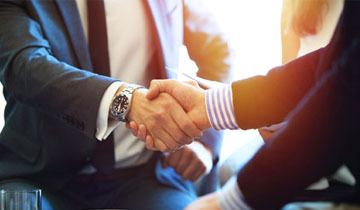 Our claims department is staffed by an experienced team of professionals and you will be given your own claims manager who will be available to deal with any questions you have. This means that you can build a rapport with the claims assessors managing your policy. What happens if there are staff changes after I have taken out the policy? It's easy. You can keep your staff list up to date throughout the year using our secure online Client Area. We have a complaint, who should we contact? 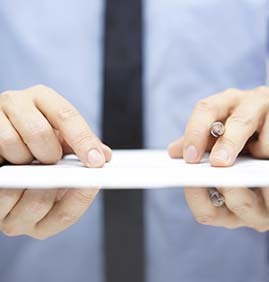 We will investigate your concerns and provide you with a written response setting out the outcome and reason. We can help you to choose your policy, talk you through pricing and explain anything you need to know about our staff absence insurance. Please give us a call, email us, write to us or fill out the contact us form.